Late last year I had the pleasure of attending my first volunteer styling session for Dress for Success. Dress for Success is a not for profit organization who supply corporate suits and outfits to disadvantaged women. Outfits are donated and women are referred for a 1 hour session and are able to take home complete work outfits suitable for their industry and personality, free of charge. This was a powerful and rewarding day, watching and helping women be styled for a job interviews or work experience. And you know the other great aspect of Dress for Success, if the women get the job, they get to come back and receive a week’s worth of clothes to get them started on the right foot in their new role! In recruitment, we see first impressions’ day in and day out and we can’t stress enough how important this is. It demonstrates a respect for yourself and the company you are interviewing with. The tough thing for some women is they come from circumstances such as domestic violence or be a refugee and do not have access to suitable clothes for interviews. It got me thinking about two basic things, how just one suitable interview outfit can be life changing and critical to empowering women and secondly, making the most of that first impression it’s not something anyone should take for granted. We live in a material world and if we have the resources or the time we should be donating clothes or supporting organizations such as Dress for Success. If you have time to give, do it. 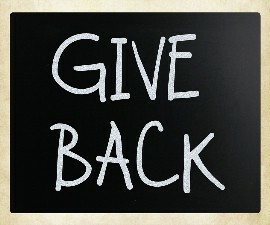 Giving back is easy and it is a small commitment to help those who need it. Never take for granted to opportunity to make a great first impression; make it count!